Talking about F1: The F1 blog: US GP Betting Preview - Lone star in the Lone Star State? 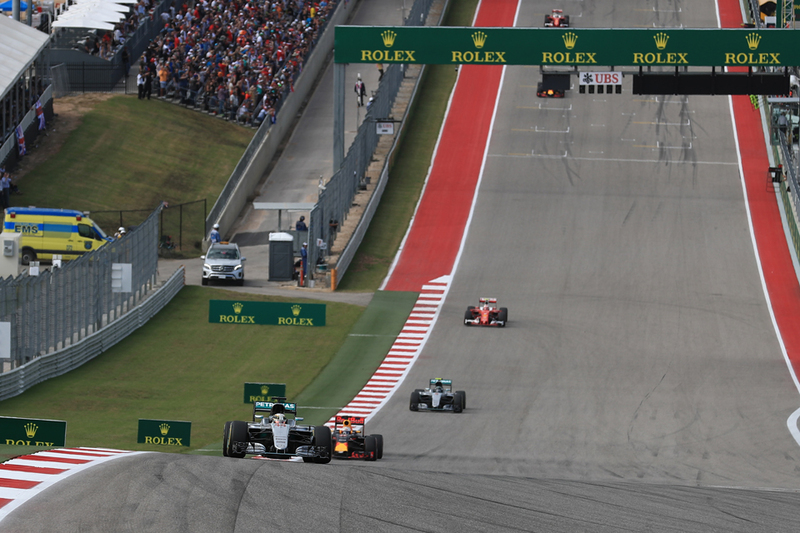 US GP Betting Preview - Lone star in the Lone Star State? On one level calling this weekend's US Grand Prix at Austin looks a no brainer. Will it be a close fight between the big three teams? Lewis Hamilton is a Texan specialist, with four wins from five races here. He also is in formidable recent form - winning five from the last seven. Plus the circuit, the first two thirds of it at least, should suit the Mercedes. And 9/10 for Lewis to triumph looks reasonable value. But dig a little deeper and things may not be that simple in any case. The final part of the COTA lap may not suit the Merc plus tyre warm up can be tricky at Austin - something that on 2017 experience will give the silver squad's engineers a shudder. Plus its two closest rival teams will enter the weekend with optimism. It's easy to lose sight of that the Ferrari's still looked quick in recent weeks when it's not been breaking down; COTA has a bit of everything about both its layout and its temperatures and these should play into the hands of the versatile red machine. And its reliability woes have to end sometime, don't they...? With this Sebastian Vettel to win at 5/2 appears worth a punt. Red Bull has also looked strong lately, particularly in Max Verstappen's hands, plus the variety of corners on the Austin track will suit the RB13. Max has a win and a close second in the last two, and with this the 14/1 for him to win this time looks very generous. The 6/4 available for him to get onto the podium looks pretty good too. Carlos Sainz has finished sixth on the road in both of his previous Austin visits (albeit was dropped a place in 2015 by a penalty) and you can get 10/3 on him finishing in the top six again this weekend. The major flipside is that this time he'll be making his Renault debut, and it remains to be seen how quickly he can get used to his new set of wheels. You may therefore prefer the safer punt of 10/11 for him to score. The Force Indias are rather stick-on to be best of the rest behind the big three teams and to sneak into the top six if one of those cars falters. Esteban Ocon looks good value to do so at 2/1. While Felipe Massa has scored in six of the last seven races he's done (while the one he didn't was the conspicuous outlier Singapore) and can be got at 5/6 to score this time. His Williams team mate Lance Stroll has scored in three of the last four and the 2/1 for him to score again look tempting odds. At the very least he should find Austin less of a challenge than he did Suzuka. All odds quoted in this article were accurate on the Oddschecker website at 1930 GMT on Wednesday 18 October 2017.